This chicken zucchini casserole is the best easy dinner for busy weeknights because it only has a handful of simple ingredients, and all bakes in one dish so clean up is a breeze! It is full of fresh, healthy flavors and is tasty and light but still very filling. If you are looking to use up some zucchini or squash then this might just be the best way! I really love to cook, but some days dinner is just such a chore. Particularly on the second week of school. The first week we are all good. We are organized and well planned. Then the second week happens and I was so wrapped up in the first week that I kinda forgot I had to keep doing all of this week after week! Casserole dish to the rescue. 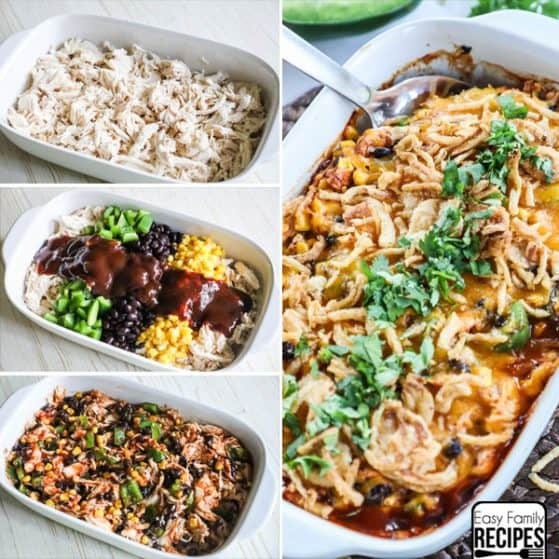 I am a huge fan of easy chicken dinners all made in one dish like these Baked Chicken Fajitas. 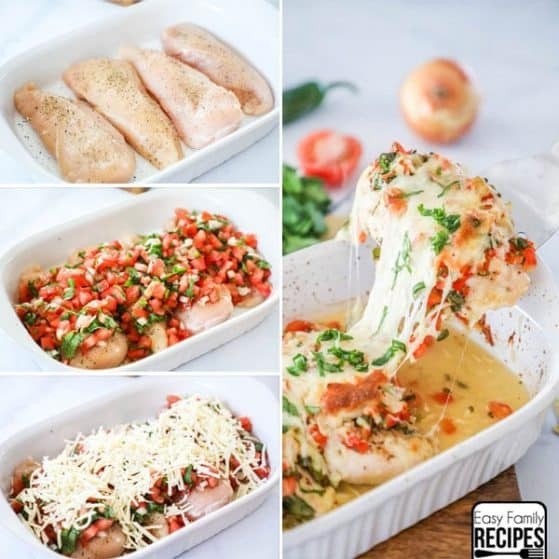 I love that you can take chicken, toss it with some herbs or spices, add some veggies, top with cheese and have dinner prepped and in the oven in 10-20 minutes, without destroying the kitchen. 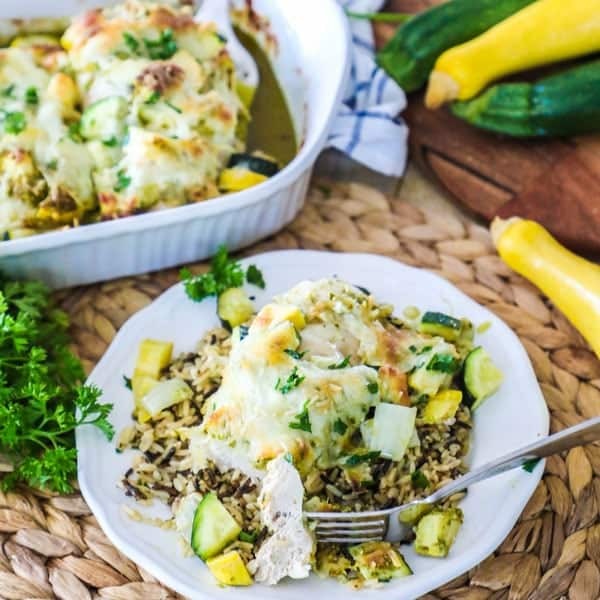 This chicken and zucchini recipe does the same thing but with new fresh flavors. 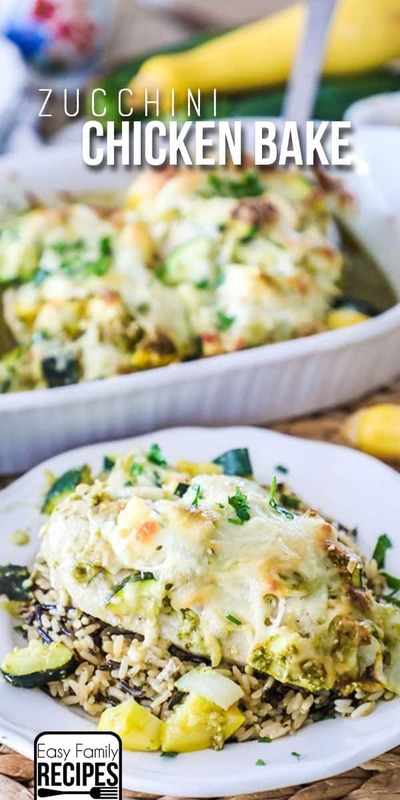 Since this seems to be the time of year when zucchini and squash are over flowing at the stores, and your garden if you are lucky enough to have one, I figured it was about time I made one of these easy chicken bakes with some summer squash. Can you make the Chicken and Zucchini Casserole ahead and freeze it? The short answer to if you can make this baked chicken and zucchini ahead of time is – yes. The better answer is that this really only takes 10 minutes to prep since all you really have to do is chop the veggies. 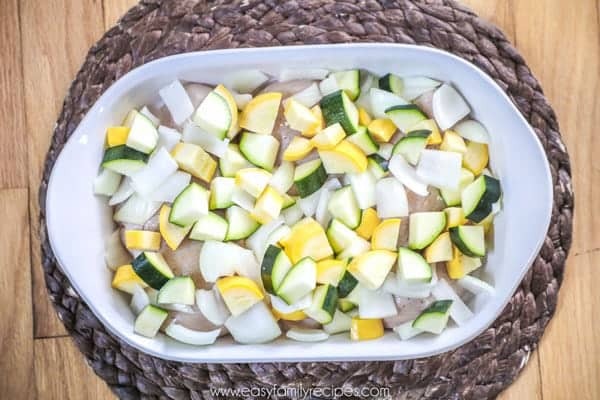 The zucchini and squash will be way less “squishy” and hold their texture much better when you do it fresh, so I think it is best just to do it the day of. 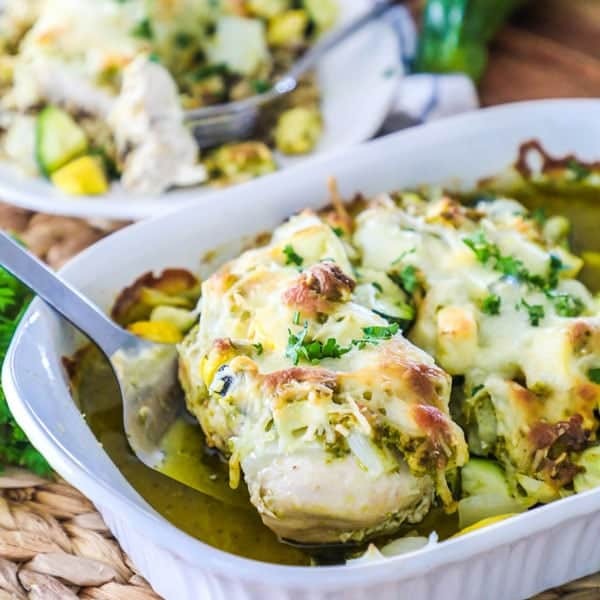 If you want a good compromise between fresh and frozen, you could freeze chicken with the pesto, then just throw some fresh veggies and cheese on top before baking. 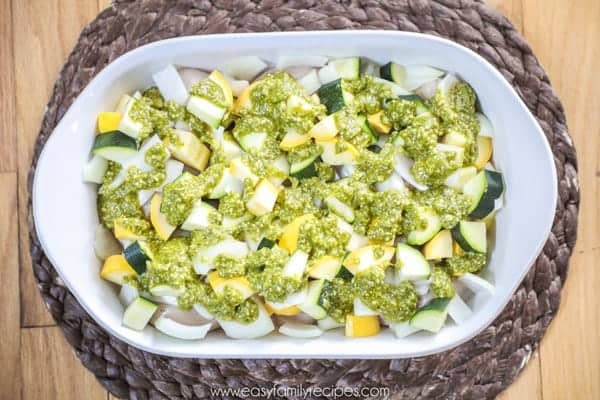 Or another time saving tip is to chop the zucchini, squash, and onions the night before or buy it pre-chopped at the store so getting this in the oven is as simple as layering chicken, veggies, pesto, and cheese. 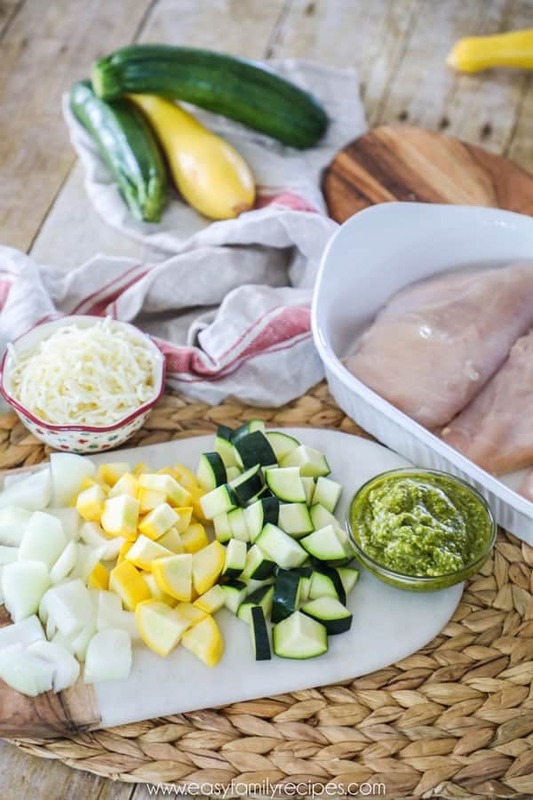 Freeze the chicken and pesto, or chicken, pesto and zucchini together. Freeze the cheese separately. The zucchini and squash will be much more mushy after freezing than when baked fresh. 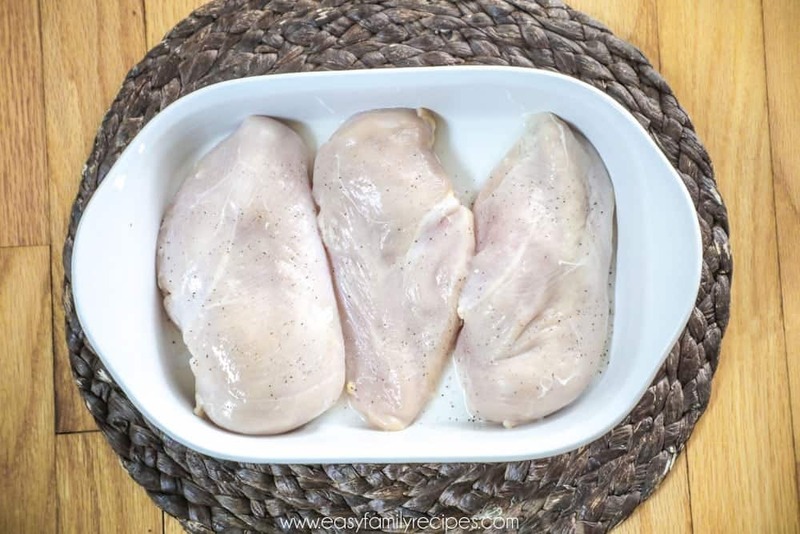 It is important to thaw the chicken before baking or it will take much longer to cook and the other ingredients will get over-done. You can serve this dish so many ways based on your taste preferences! Once the Chicken Zucchini Casserole is baked, there will be flavorful juices from the chicken, pesto, and veggies at the bottom of the dish. I usually serve the chicken with one of the options below and spoon the some of the sauce over the top when serving. Pasta– You can put it right over pasta tossed with butter or olive oil and garlic, or do pasta with marinara sauce. 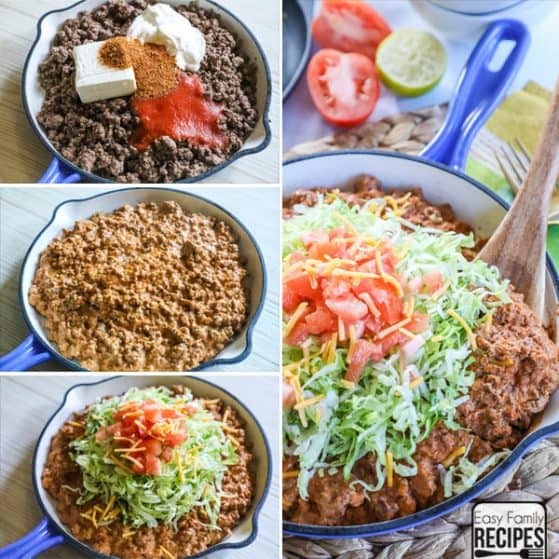 Make it easy by using your favorite jarred sauce. Bread– Serve it with a big slice of crusty garlic bread. I actually served mine with rice and garlic toast. It is perfect to soak up all the yummy sauce! 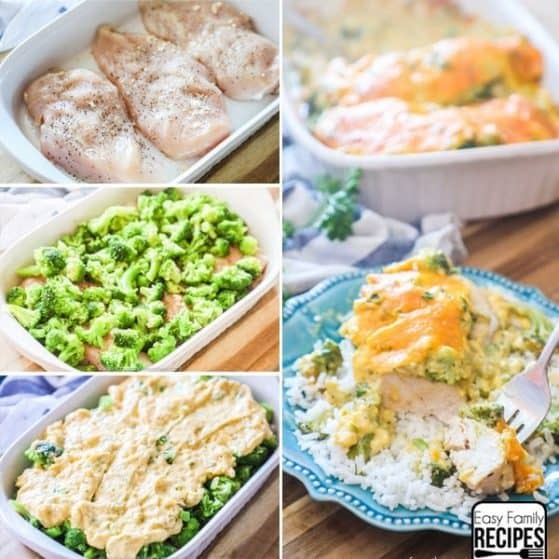 Cauliflower rice– You can do all cauliflower rice or do half and half with regular rice to lower the calories and carbs and get some extra veggies in. Sauteed greens– My favorite is spinach! I just put it in a large skillet with a tiny bit of olive oil and some chopped garlic. It wilts in minutes so is super fast and super healthy. You could also use kale or collard greens. Salad– Serve this up with a big side salad packed with even more veggies! You can also chop up any leftovers and serve them cold over salad greens the next day. I am going to walk through the recipe for this Chicken and Zucchini below. I like to add all of my notes, along with the tips and tricks I use when making this. 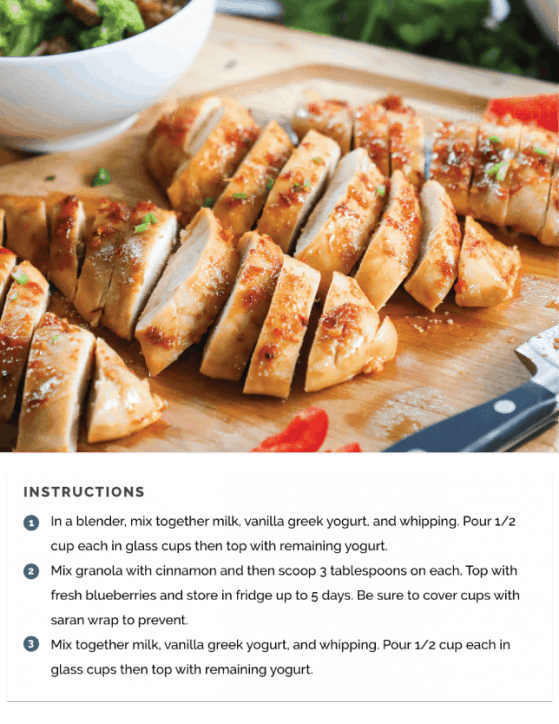 If you just want the quick version, scroll to the bottom for the recipe card. 3-4 boneless, skinless, chicken breasts- This will be roughly 1.5- 2 lbs package. Trim the chicken breast to prep. 1/4 tsp garlic powder- These will all be used to season the chicken breast before putting on the veggies. You can use more or less salt pepper and garlic to your personal tastes. I actually don’t measure these usually, I just sprinkle them on, so feel free just to do this by feel. 1 medium yellow squash- You can use zucchini and squash here or just use 2 of either. I love the color of using both, but if you just have one on hand you can easily just use that one. 1/2 medium sweet yellow onion- I prefer yellow onion in this because they get nice and sweet once cooked, but you can use another variety like white or red if you prefer. 1/2 cup pesto, prepared- I usually buy this at Costco or Sam’s Club in a large jar in the refrigerated section. You can also find prepared pesto in most regular grocery stores near the refrigerated pasta and sauces. I really prefer refrigerated pesto over non-refrigerated jarred pasta. 4 oz parmesan cheese- make sure you get fresh grated, not the powder kind. 4 oz mozzarella- You can blend 4 oz of each parmesan and mozzarella or use 8 oz of an Italian cheese blend in lieu of the separate cheeses. Chop the zucchini, squash, and onion and combine. Chop the zucchini and squash in half length-wise then half each of the halves again length-wise. Then chop the spears into roughly 1 in pieces. The onion should be cut in pieces similar in size and then separated so that it can cook evenly. Once you are done chopping toss all of the veggies together. In a large casserole dish, lay the chicken in a flat single layer and season it with the salt, pepper and garlic powder. Make sure the casserole dish is big enough so the chicken can lay flat. They will cook more quickly and evenly the more spread out they are. Next layer the veggies on. 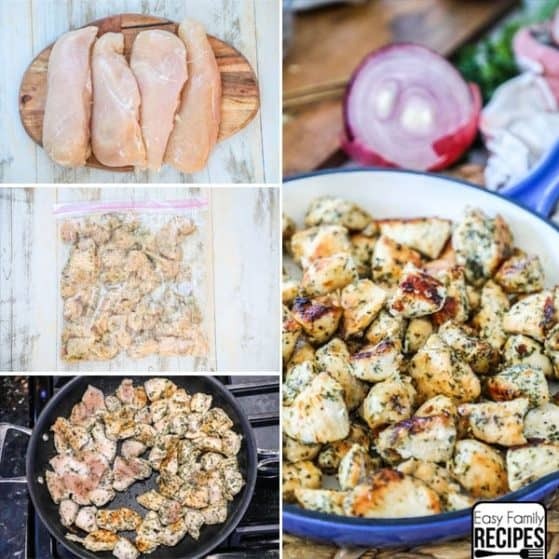 Try to spread them as evenly as possible over the chicken. Then dollop the pesto over the veggies so that it can cook through all of the layers, and last top with the cheeses. Bake on the middle rack for 35-45 minutes or until chicken is cooked through, 165˚F internal temp. You shouldn’t have to cover the chicken, but every oven cooks differently based on size, heat type, altitude, climate etc, so start the dish uncovered and then if you notice the cheese getting a little more brown than you like, you can loosely cover it with foil. Serve with any of the suggestions above and ENJOY! I hope you enjoy this recipe as much as our family does. 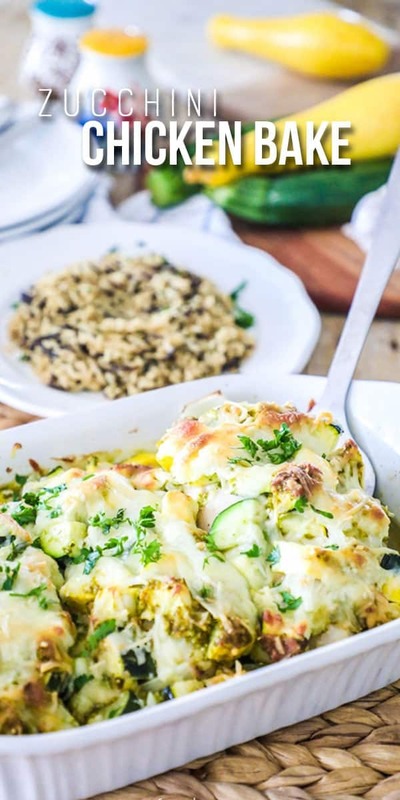 It is a great and tasty way to use up your summer squash and comes together quickly for those super hectic week nights. 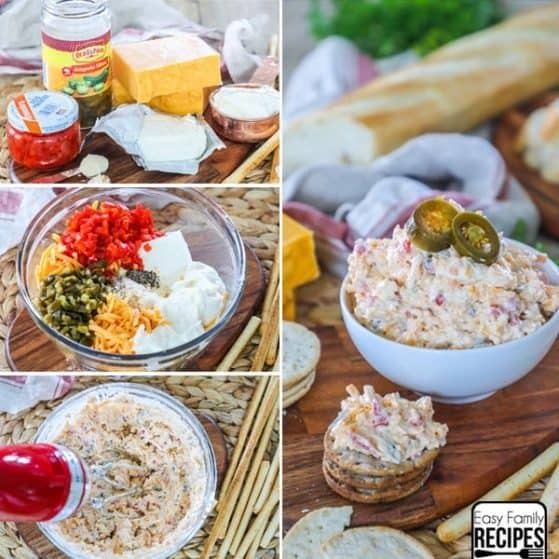 If you get a chance to try it, leave me a comment below, or even better, snap a pic and tag me on Instagram @easyfamilyrecipes. 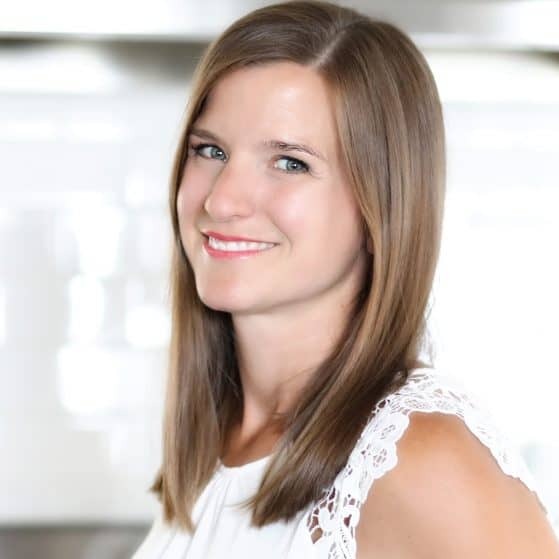 It makes my day to see you enjoying the recipes I share! 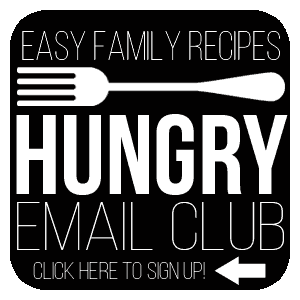 Don’t forget to sign up for the Hungry Email Club where I share new recipes and dinner inspiration each week! Click here to sign up! 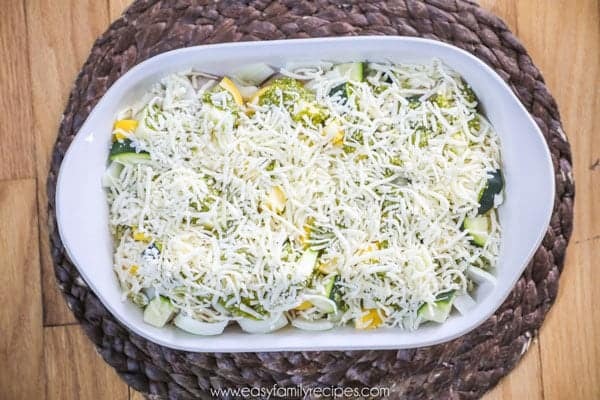 This Chicken Zucchini Casserole is full of fresh, healthy flavors and can be prepped and in the oven in as little as 10 minutes! Since you make the entire thing in one dish, it is both simple to make and clean up! 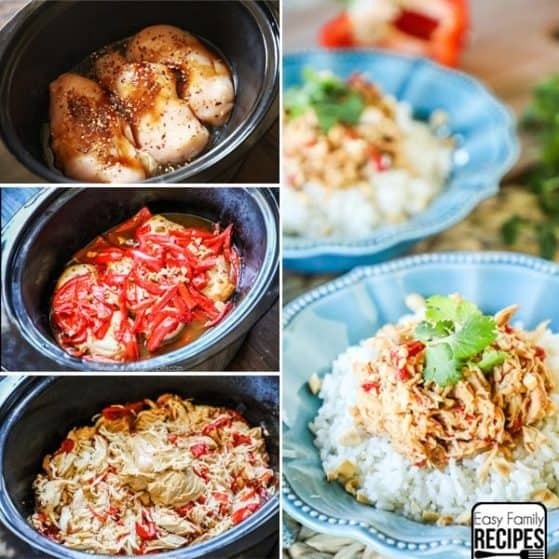 It is the dinner trifecta of easy, healthy and delicious. Chop the zucchini, squash, and onion and combine. 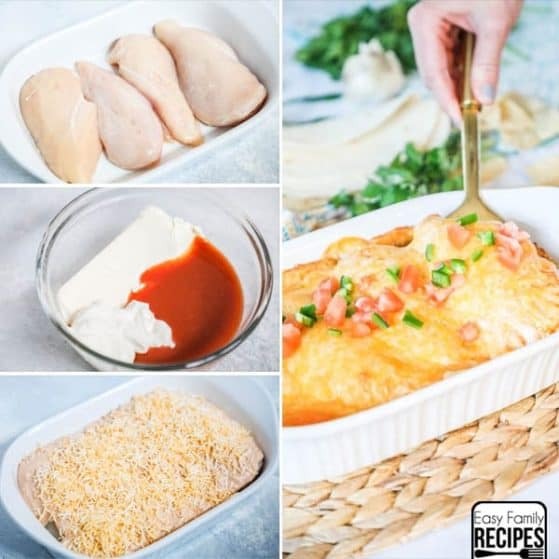 In a large casserole dish, lay the chicken in a flat single layer and season it with the salt, pepper and garlic powder. Next layer the veggies on and then dollop the pesto over the veggies, then top with the cheeses. Bake on the middle rack for 35-45 minutes or until chicken is cooked through, 165˚F internal temp. If it starts to brown more than desired, loosely cover with foil until it is done cooking. I’m so excited to try this out tonight! 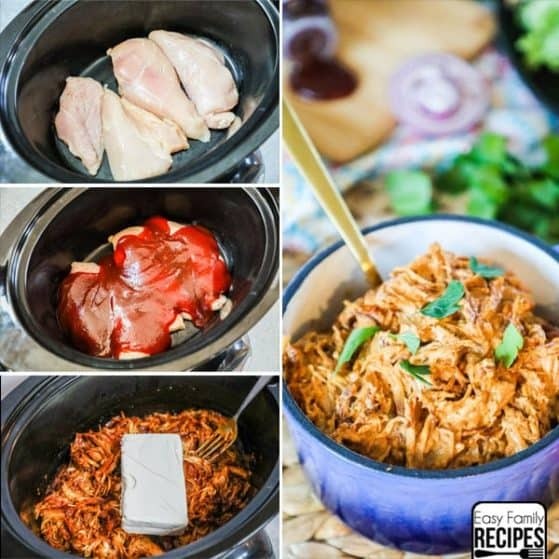 I love that you included so many tips for cooking it and ideas for what to serve it with. 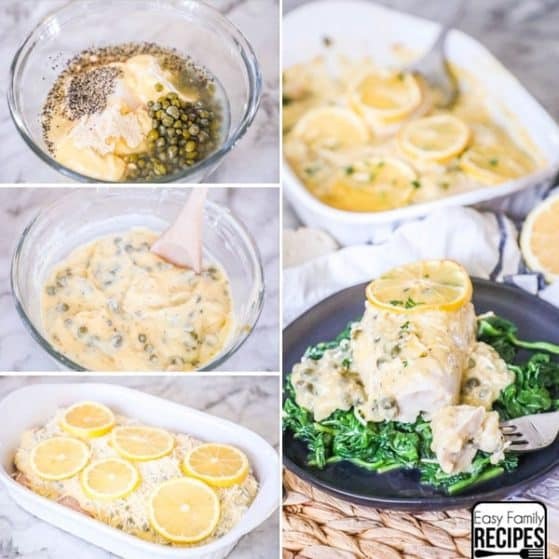 This post and the whole recipe is really well written! This is perfect for Keto too! I didn’t have chicken or pesto available, so I used pork chops and no salt seasoning from Costco. I used the spices in the recipe and added 2-3 T of the no salt seasoning and tossed the vegetables with the seasoning. I also added mushrooms about 3/4 c. roughly cut. It turned out amazing! We wanted to each have another pork chop but decided to save the rest for the next days dinner. Served it with garlic rice. Can I use the roasted chicken from my grocery store deli area as a time saver? If so – how might I need to modify the directions? 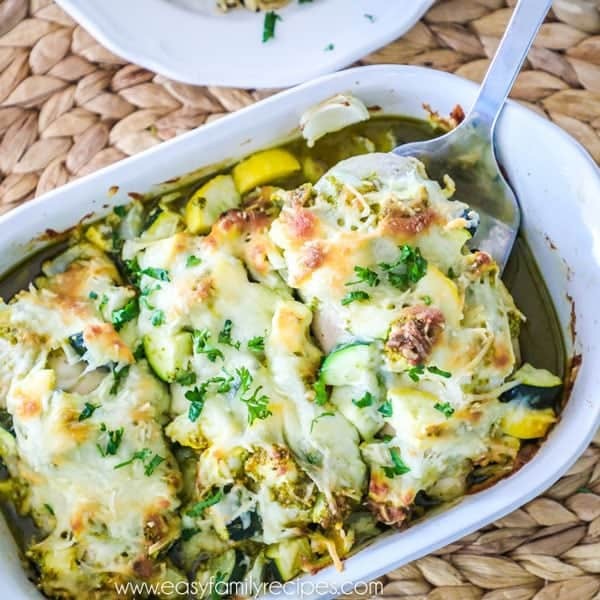 If you used precooked chicken, you could mix it in with the zucchini and pesto then top with cheese. You would want to reduce the baking time to cook until everything is heated through and the zucchini is tender. love this dish so much! I am very new to cooking and this is one of my favorite things to make. thank you! I made this tonight and added marinated artichoke hearts to it! It was very delicious thank you for an awesome recipe!